Some people keep them in their pocket, some wear it like jewelry. 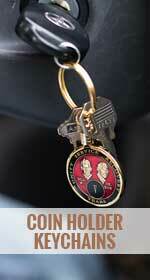 Click here to learn about 5 things you can do with your AA coin to help keep yourself sober. 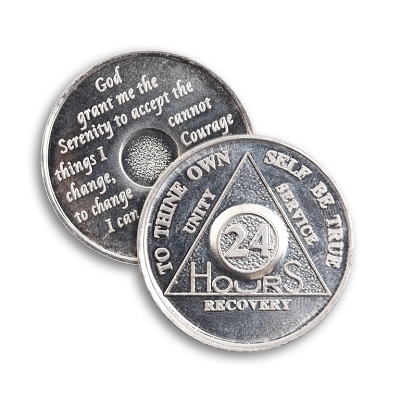 You earned your AA coin after months and years of excruciating work to stay sober. 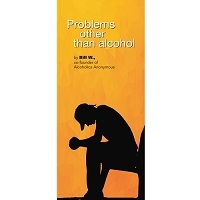 It's not just a gimmick from your AA group to help you stay away from alcohol. Instead, it's a token of your commitment to your new, sober life. Yet, a coin doesn't quite capture the true meaning of the work it takes to stay sober sometimes. How could a coin possibly symbolize the tough nights you spent wondering if you would be drunk come the morning? It's vital to remember that, even if it seems just like a silly trinket, your AA coin is more than just that. And it's up to you to keep it that way, just by staying sober. And there's a lot you can do to remind yourself that an AA coin isn't something you can just cash in for a drunken night. 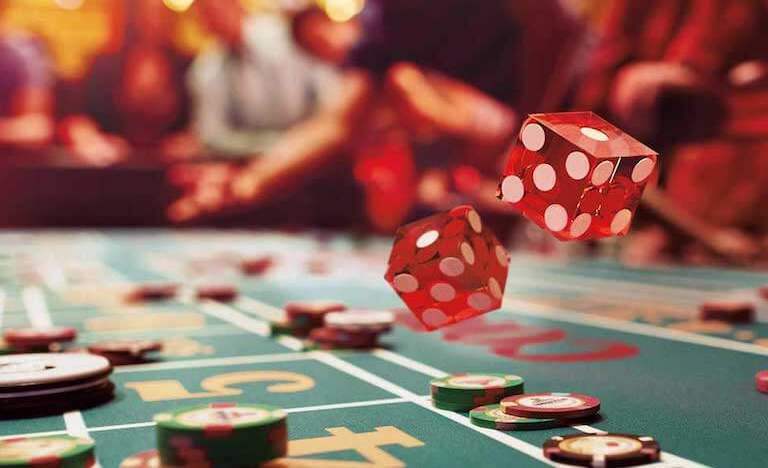 Keep reading below to learn about 5 things you can do with your AA coin to help you stay sober! There's a reason people prefer to wear personal symbols around their neck or on rings. It's because if they wear something like a class ring or religious symbol on themselves, it's always with them. Wearing something as if it were jewelry is a comforting reminder that the meaning behind a symbol follows you. Your AA coin is no different, and if you wear it like a piece of jewelry you will always be gently reminded of your own sobriety. You'll never be able to forget the work you put in to be sober in any given moment. And that can help you avoid drinking whenever the situation may arise. 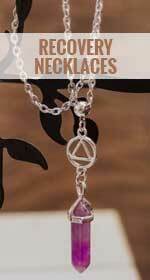 If you wear it like jewelry, you may also provoke conversations with strangers about it. Talking about your sobriety is one of the best ways to stay sober, even if it's with random people. They may also be going through a tough time and may use your AA coin as an attempt to find some inspiration to go sober. 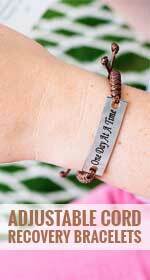 By wearing your AA coin like a piece of jewelry, such as a necklace, you will always have a reminder of your sobriety with you. And you may even help another person follow in your footsteps to go sober too. One of the most crucial steps in staying sober is taking pride in the work you put in to get to where you are. If you don't appreciate how hard it was to get sober, you won't appreciate how easy it can be slide back into drinking. 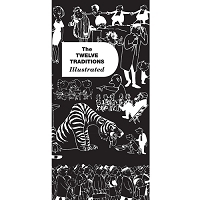 And one of the ways to take pride in your work is to notably display the symbol of it. You can purchase a case for your AA coin with a built-in stand for your office or your home. You should pick a spot that you, and anyone else, can easily see. Whenever someone walks by your desk, your AA coin should be the thing they see next to pictures of your family. Displaying it like this will demonstrate that you're committed to working on yourself. It will also let people know that you fought your fair share of demons, and you should never be shy about that. People respect it when other people try to improve themselves, and so you will get more respect. 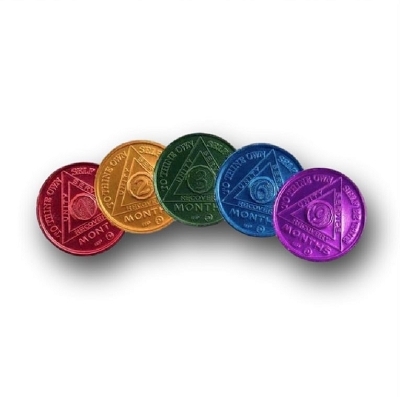 Taking pride in your AA coin isn't vain or silly. It's a way to show that you acknowledge where you've been, and a way to show you're committed to never going back. People keep all sorts of things in their wallets, but an AA coin isn't on the list of common items in one. That's only because working so hard to become sober isn't a common experience. If you prefer to keep your AA coin close without revealing that you have it to everyone, consider stuffing it in your wallet. That way, you'll always know that it's close and can be reminded that you put in work to go sober. It'll help you avoid undoing all the work you put in to get where you are. If you don't carry a wallet, or can't fit your AA coin, try simply keeping it in a jacket pocket. You can even make it a part of your morning routine to move it to a new pocket every time you wake up. 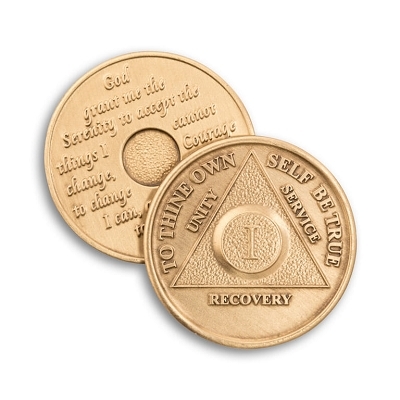 That way, you'll be intimately reminded about your sobriety every day, since you'll have to hold your coin in your hands. The AA group who have you your coin is there to help you. If you feel the urge to cash the coin in somewhere, don't be afraid to cash it in with your group. 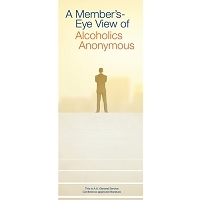 Let the members know that you've been struggling over sobriety and have been trying to avoid alcohol. People will come together to help pull you through whatever you're going through. 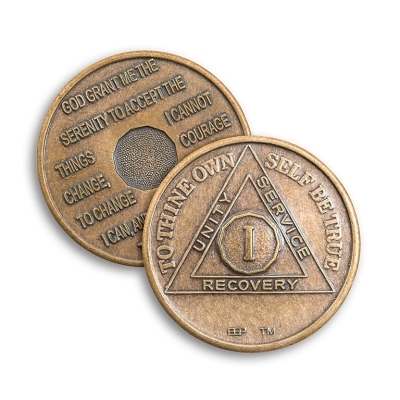 And then, you'll be rewarded with a fancy new coin after so many more months of sobriety. Cash it in for an upgrade, not for a drink. 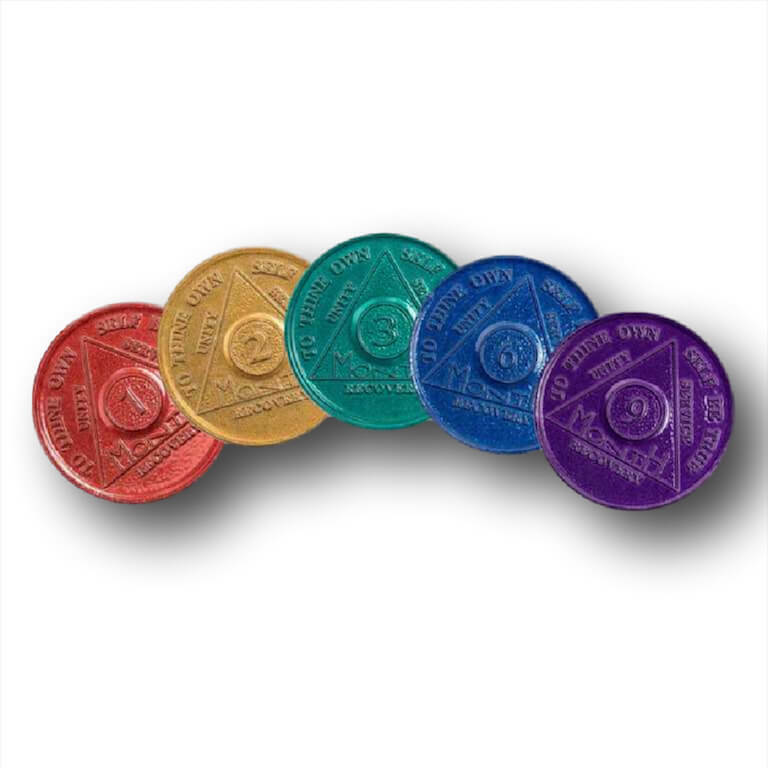 Carrying your AA coin around gives you a useful and helpful opportunity to distract yourself from alcohol. When you have your AA coin, you can fiddle with it in your hands as a way to take your mind off alcohol, or any problems associated with it. And don't be afraid of looking weird fiddling with a coin. Most people wouldn't recognize it as an AA coin, and fidgeting with something is a well-known way to calm down. 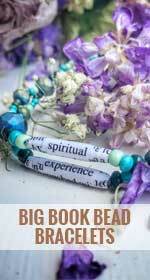 It can help regulate your attention and will take your mind off stress. And if someone notices that you're fidgeting with an AA coin, they'll be more likely to connect with you and will want to help. The most important thing to do with your AA coin is to respect it. It's a vital, powerful symbol of the journey you've been on. If you don't respect the symbol of your journey, how can you respect the journey itself? And if you don't respect your own journey of personal growth, you stand to stop it. Nobody wants to see you relapse; everybody would rather see you wear your AA coin, or see it displayed somewhere. There are plenty of things you can do with your AA coin to help you avoid relapsing. To make it easier for you to find things you can do with your AA coin, you browse our shop here. We supply different kinds of ways you can demonstrate your pride in your journey so far so that you can make sure it never ends!